Microsoft has recently released SQL Server 2016 CTP 2.2. I was concerned about the Master Data Services and was exploring the new features. I got surprised when I see that Explorer functionality was not working. Generally it is used to manage members for Entities and Hierarchies. It is one of the main functionality and frequently used in MDS. 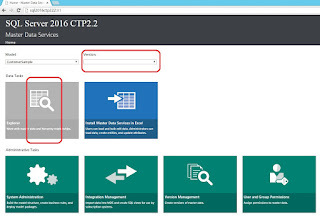 Please note that I have used the SQL 2016 Server CTP 2.2 from window azure environment. I feel this issue could be the same if you download and install CTP 2.2 on virtual machine. You can conclude from above screen shot that that Explorer functionality is disabled as well as you can’t select the version of the model. If you navigate through Version Management or Integration Management, you are allowed to select the version. This is quite strange. It was not possible to view the members at all. I have complaint about it at some site as well on twitter, but no response till yet. Alternatively, I used Excel add in to view and modify the members and test couple of deployment scenario. But it was quite annoying. I tried to find a workaround for it and luckily I got succeeded. 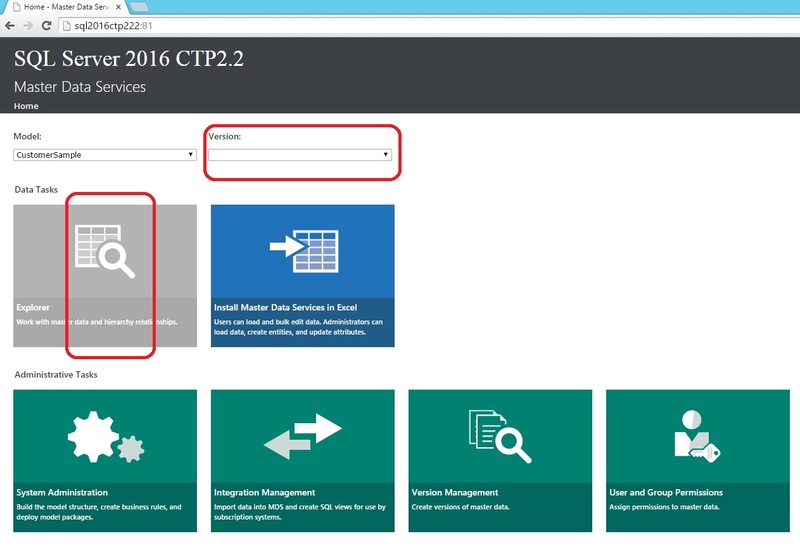 I am sharing this to all of other MDS users so that everybody can use and test the MDS CTP 2.2 without any interruption. To access the explorer functionality, you just have to replace the proper value enclosed in ‘<>’ and paste into address bar. Once you replace ‘<>’ with proper value, Explorer functionality will be up and running. To replace the proper value for above string I created some SQL Script. 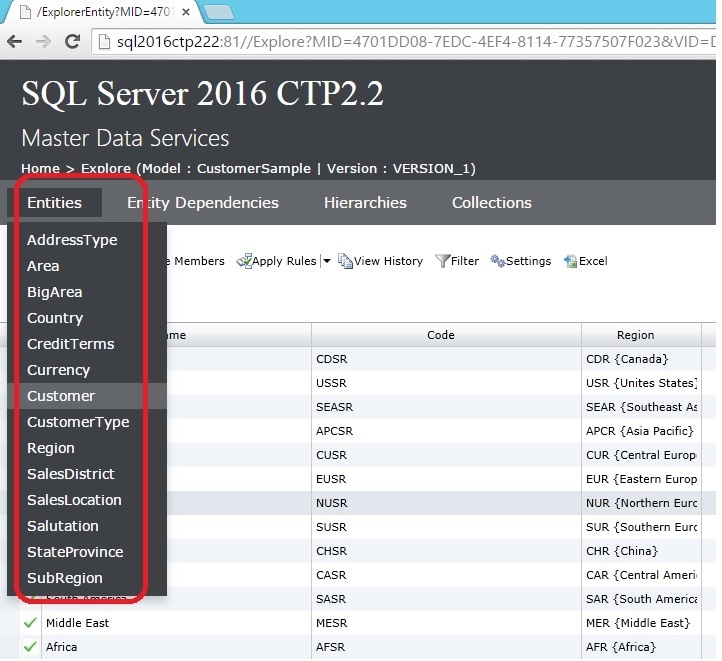 Once you execute it, it will give you the exact explorer MDS URL for the specific entity. You just have to paste it into the address bar. Execute below script against MDS database. Now it is cake time J Enjoy reading.